Welcome to The Experiential School of Tampa Bay, where children engage in unique learning activities that capture their imaginations and inspire them to explore, to question and to take risks. Students of The Experiential School learn to work collaboratively and are encouraged to think critically and creatively to solve problems and discover answers to all their questions. We integrate literacy, math, science, Spanish and the visual and performing arts into exciting project-based and topical studies relevant to the students’ natural and global worlds. Our hands-on, experiential and exploration-based approach to learning offers numerous choices and opportunities throughout the students’ day for the children to interact with each other, their teachers and guest experts from the community. In these ways, we are much more than just preschool! Our private school teachers are specialists in Early Childhood Education and are familiar with the latest research on how children develop and learn. They recognize that each child is unique, and purposefully differentiate activities according to the needs of each child. Through a balance of guided discovery and play, the teachers support our students to ensure that they develop the interpersonal and academic skills and conceptual understandings that will help position them as the leading students and citizens of the future. Come explore the world and learn with us in our new home! The morning of March 18, 2019, was an exciting one for Shorecrest’s Alpha and Junior Kindergarten students as they settled into the Mike Murphy Experiential School building. On the first day back from Spring Break, faculty and families gathered for a celebration to acknowledge this special moment and to highlight the value placed on community-building and family engagement. A breakfast catered by SAGE Dining Services allowed everyone to get a first taste of the cuisine offered in the new Charger Commons dining rooms. The breakfast was followed by a ceremonial ribbon-cutting in front of the doors to the new Mike Murphy Experiential School. When designing new Experiential School indoor and outdoor spaces, every decision made had student learning and growth at its core. The building houses classrooms, a teaching kitchen, a library and media center, dining rooms, and much more! "I visited my son's Alpha class yesterday. When I walked in, children were building skyscrapers with real wooden blocks, kids were playing in the "Bakery" with real flour spiced with ginger and cinnamon, and another group of children were working on painting a collaborative mural... and that was just 3 of the many amazing choices that were available. This happens EVERYDAY at The Experiential School!" The Experiential School of Tampa Bay, the preschool program at Shorecrest Preparatory School, has earned national recognition as a Certified Nature Explore Classroom. 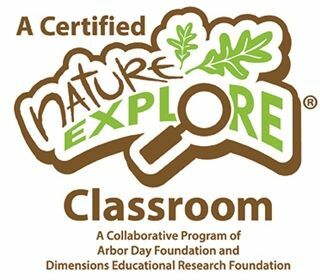 The certification comes from the Nature Explore program, a collaboration of Dimensions Educational Research Foundation and the Arbor Day Foundation. The Experiential School is one of only 13 certified spaces in the State of Florida. It is the only Outdoor Classroom with the certification in the Tampa Bay Area.